Laugh, rejoice and celebrate together. 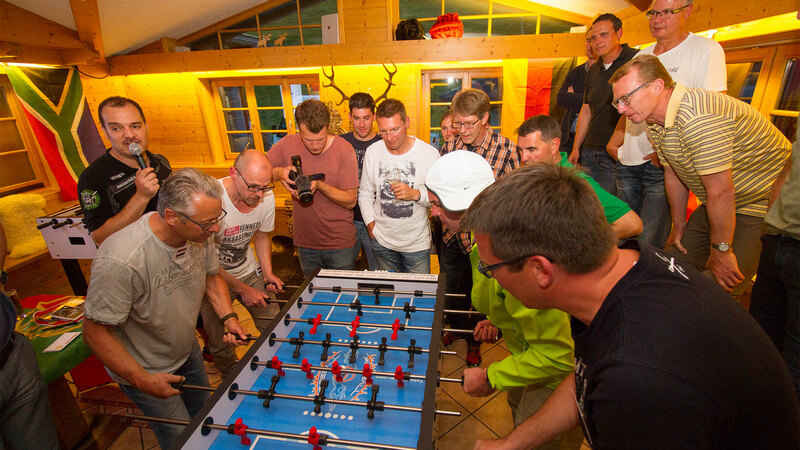 The team event, Kicker-WM, is not only a game of table soccer, it is experiencing authentic possibility, team spirit, fascination and emotion at close quarters. Convert your team event into a rousing cooperation and in so doing develop a very special “we-feeling” which will remain in the minds of your employees. Two participants take part as national players for a specific country. The title is fought for with pride and honor for the country. The games are drawn initially at random until the co-rounds begin. 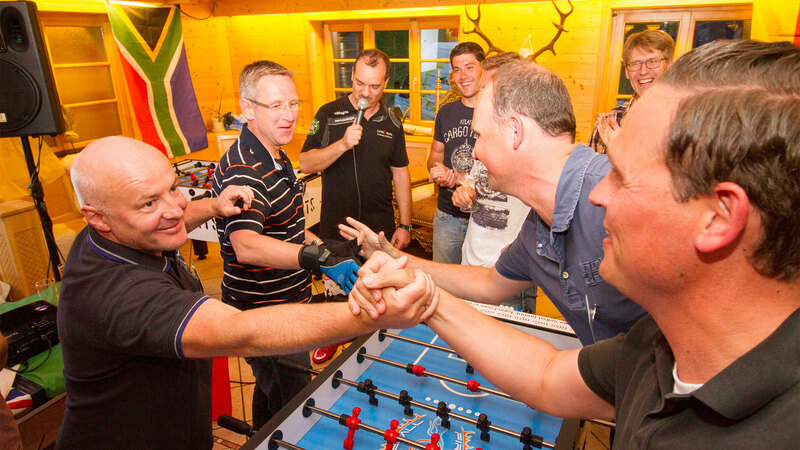 Witty moderation by the Foosball World Champion as well as emotional interviews with the players. 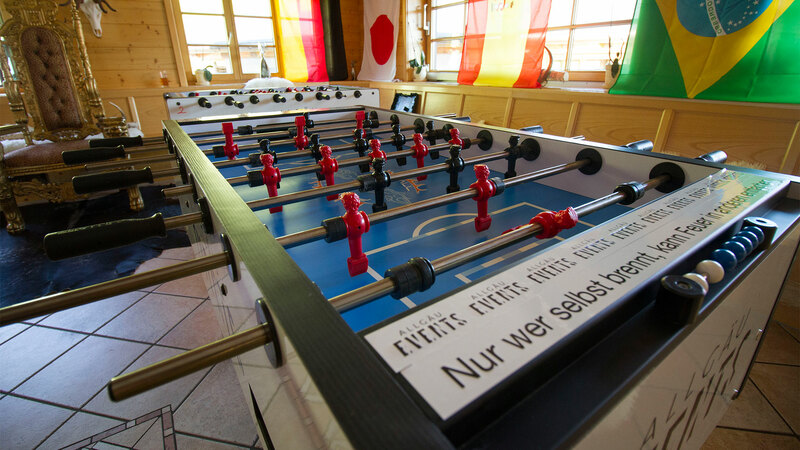 However, at the close, a further challenge will await the winning team – the World Champion of Foosball! If he can be beaten? It remains exciting!